Today, we went on kayak and water buffalo tour with honeymoon couple from Nagano region. But Nagano was 6 degrees. It’s hard to believe they are in same Japan. 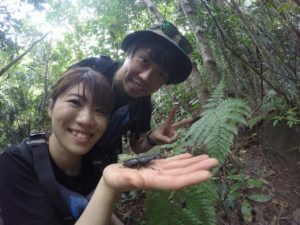 Nagano is a inland so people ate insects for protein in old days. They are sometimes seen now.But they are not popular foods in modern times. 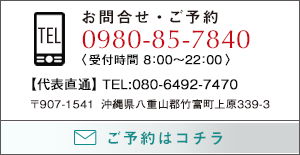 The consumption of seafoods is 29th in Japan. I am off the topic. I have my own theory that swimmer and tennis player paddle kayak very well. 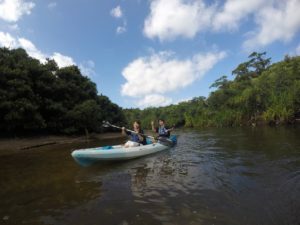 Today’s couple were good at kayaking too. Even though it is November now, We were swimming in basin in the waterfall with the sun shine. 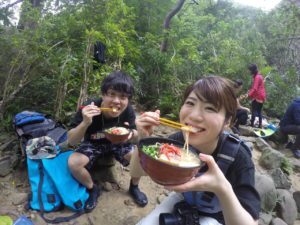 As expected,The temperature was little cold.But we got all warmed up with Yaeyama noodle for the lunch.